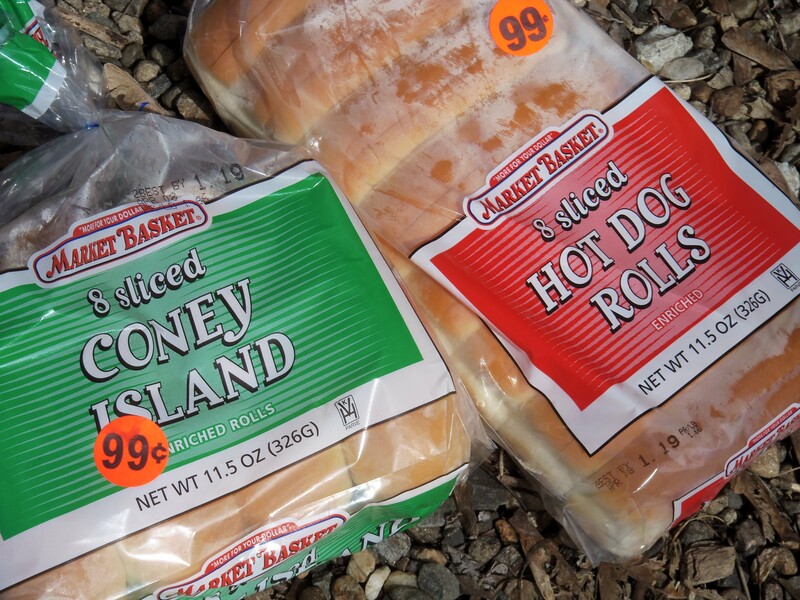 Pointing to another shelf, I looked at the kind I’d always known – the kind, that in fact, came labeled Hot Dog Buns. Hers, in contrast, were labeled Frankfurter Rolls. Hmm, we both said without satisfaction. She had, in truth, grown up in New England and lived nowhere else. And her idea of how to serve a hot dog was unique to the region. Not in something she considered a torpedo roll. Ah, but the plot thickens. As I bought packages of each this time around, there was no Frankfurter label — and the Hot Dog tag instead went on what my wife confirms are often called Frankfurter buns or rolls around here. As a further complication, we now have the term Coney Island, which confounds my elder daughter while bringing to my mind something completely different, a miniature hot dog where I grew up, often served covered with “chili.” But that’s a whole other story. This can, in turn, point to a lot of other regional distinctions. Whether you call a device a watercooler, a water fountain, or a bubbler, as we do here. Or whether you order a soda, a pop, or a cola. Feel free to expand the list. It can go on a long time. Fast forward, then, to lunchtime at a national conference being held in Rhode Island. I sat down and joined a random group that included a handful of teens. One was from North Carolina. I pointed to the hot dog on his neighbor’s plate. He looked bewildered. “What’s it wrapped in?” he asked. “Would you call it a hot dog bun?” I prompted. You know where the conversation went from there. Yes it is, no it isn’t. At least the college cafeteria knew to stock both Hot Dog Buns and Frankfurter Rolls. As we all discovered. Hmm. Maybe next time we have a crowd over and we’re grilling hot dogs, I’ll get packages of both – and then see which kind goes first. And of course “roll” can lead into a whole new set of regional differences, I suppose. Me? I prefer a whole lobster, usually served with fresh corn on the cob. Stop by the dealer and then a farm stand both on my way home from a beach in Kittery, Maine. Just for the record. No bun or roll in sight. I can’t tell the difference between the two myself. And here in Rochester, NY we have red hots and white hots…different buns too??? Thanks for liking my blog. All those times in Rochester, and I never discovered that … How’d that happen? Donna also never saw those buns until she came to New England, she loves them and after all of these years still longs for a return to the Great New England Hot Dog Buns! Well, that thickens the plot! Speaking of the South, my wife misses the hush-puppies, especially. Guess we just have to roll with the tradeoffs. l enjoyed browsing through your interesting and informative blog..Thank you so much for following my blog.Best regards. Do you use them for other kinds of sausages, too? In Iowa, for instance, brauts — or brautwurst — is often used instead of traditional hot dogs, for good reason, I recall. Hello! The New England style was widely available at a Tesco I used to shop at in NW London. That was in the early to mid-1990s. Unfortunately, since then, I have only been able to find the other kind (right hand side of Mr Hodson’s photograph). The New England style is far superior. Not only does it hold the filling much better but it is also less bready, giving a perfect equilibrium between bread and filling. I do miss them! To Jnana re business opportunity: if only! They could probably be baked in the UK again. I don’t remember who made them, though. 🙂 Does slicing a subway bun down the top make it a street car? Are we sensing a marketing opportunity? And how soon do we begin franchising outlets? I had no idea that people used side-opening buns for hotdogs! I’ve been to cookouts in Massachusetts and New Hampshire and visited Fenway Park — all had top opening. The other ones we call “sub rolls.” Great story. Thanks for the “Visiting the Big E” like. I read with interest your hot dog vs frankfurter buns post. It was only recently that I learned the bun type shown on the left in your top pic is considered New England style. I’m a lifelong New Englander – but who knew? We have two conflicting names for the ground beef in seasoned tomato sauce served on a hamburger bun. Some call the sandwich a sloppy joe; others say they’re taverns. Sloppy joes were favorites in my teen years — especially in the youth fellowship at my church. But this is the first time I’ve heard of taverns. What part of the country claims them? Further west than my Ohio. This is so funny, I still talk about those yummy hot dog buns you can only get in New England where I grew up. You butter them, grill them and they’re great with or without a hot dog. I have lived or traveled in 48 states and have never seen them anywhere else. I now live in Florida and miss those buns. Now what do they call the other rolls? I don’t know I actually never thought about it or even looked, I just know they sure don’t taste as good. I also say soda, but my grandmother from Worcester [Massachusetts] called it tonic, which is only used in that area. I have family in eastern GA and I love the hash they serve on rice with BBQ, But you can’t find it anywhere else outside eastern GA/western NC. Here’s another fun fact. We New Englanders love our coffee; coffee candy, iced coffee and ice cream. Coffee ice cream is so popular you can get it sugar free, fat free even in generic brands. I have to make my own. Every once in a while you can find it but in expensive brands. I’m so grateful for Dunkin’ Donuts, even in Florida I can get a great iced coffee. Differences in pizza and BBQ vary greatly across this nation. I prefer Chicago pizza and the dry BBQ with Carolina Gold sauce found only in SC. This little differences between regions is fascinating and makes life interesting. This was a fun post and I enjoyed remembering all the differences here in the US. Thanks for checking in! This posting on the two types of buns just keeps rolling on, no pun intended … And yes, tonic is another of those local terms. Jnana – I tried to post a photo here and my comment zapped somewhere else on your list. Repeated here. I may post a hot dog picture on my site just for you. Jnana, Thank you for visiting my blog! anewenglandflowerbed.wordpress.com. It’s nice to know it’s being seen. Regarding the hotdog roll debate…..I lifetime New Englander so you already know the answer…..top split and they are wonderful toasted on both sides…..Back in the 50’s and 60’s when I was a mere youth, soda was tonic in this neck of the woods. Genealogy is one of my favorite past times, as well. It’s been fun solving family “mysteries”. My kind of story, love it, thanks for sharing the disclosing the distinction. 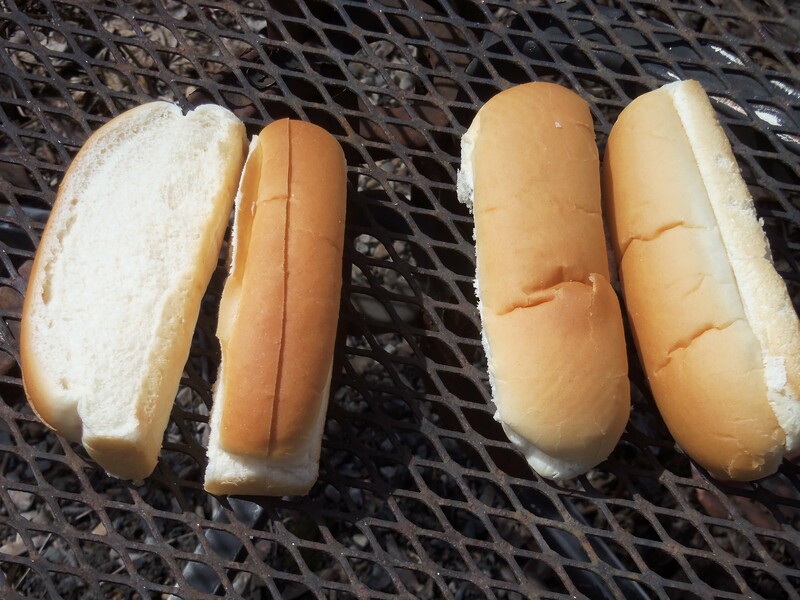 Oh the great bun debate… As a New Englander I have occasionally had to suffer the indignation of serving my beloved hot dogs on the wrong roll. A tip: if you are stuck with New Englanders in your midst and do not have the correct bun just trim the top crust and the bottom crust off and rotate 90º – Ta Dah! – New England style! and you know your buns – always slit on the side then turned and stuffed – a full frontal bun that’s the way to do a proper dawg. Thanks for the read and the like on my poem.